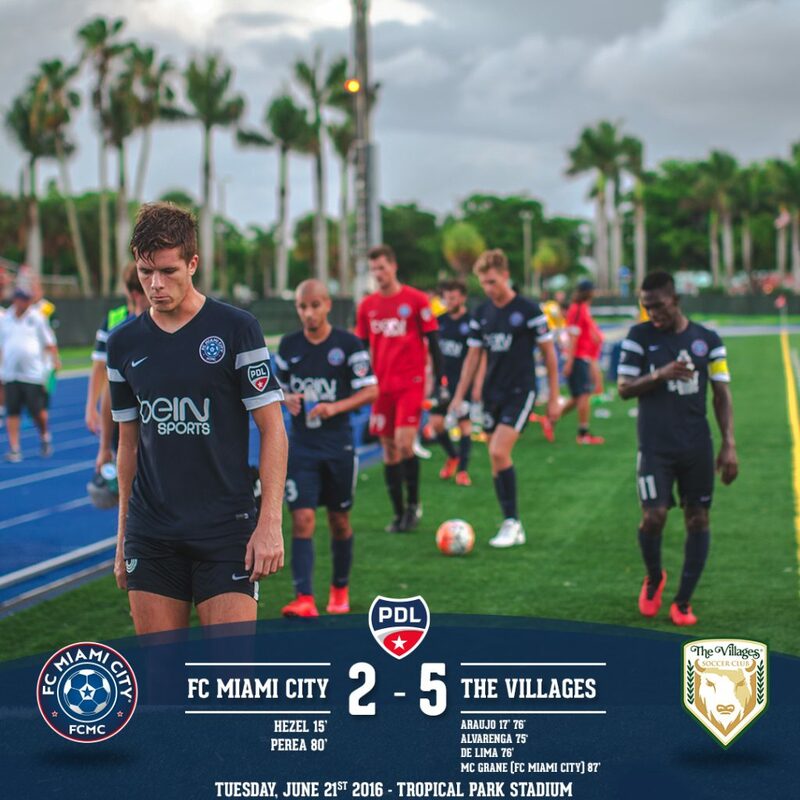 FC Miami City’s 2016 season comes to a disappointing end with loss of the playoffs slot. MIAMI. FLA – If you haven’t heard about the FC Miami City you are really missing out but don’t worry it’s Miami’s official soccer or football (as the majority of fans prefer to call it) team so it will always be here. 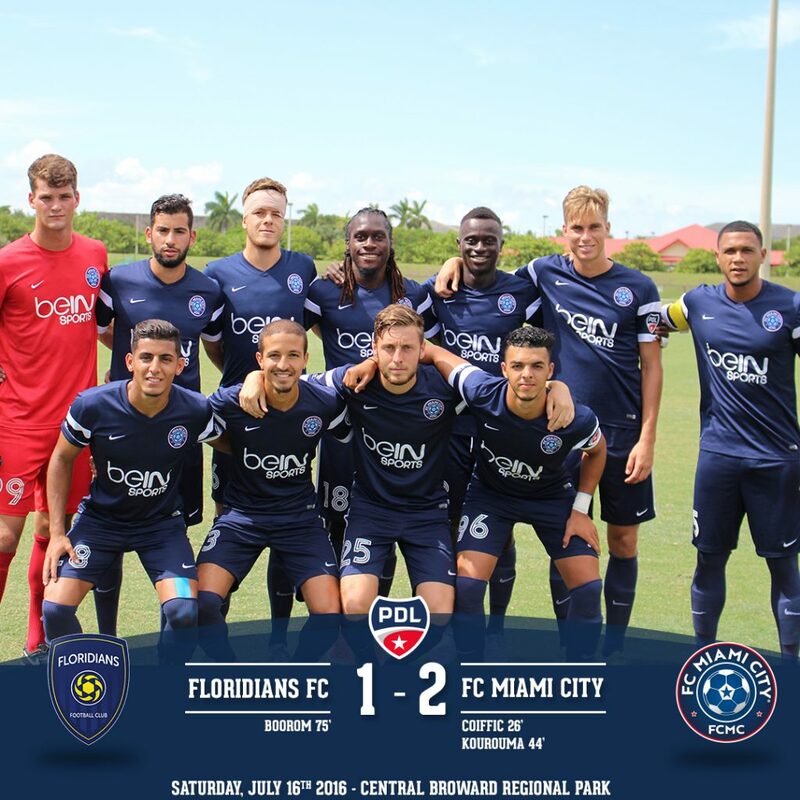 As the final game of FC Miami City’s happened last Saturday, the second Premier Development League season came to a close at Central Broward Regional Park with a 2-1 score at the board in favor of your FC Miami City. First of all, we would like to take the opportunity to send many thanks to our partners to be behind us from the very beginning until the end of the season. You help, support and passion around the team helped us grow. Also, it is important to thank our coaching staff this season who tried its best to keep the players together not as a group of individuals or a group of players but as a team. A beginning full of promises. The season started with most of our team never having played soccer together. We had a renewal of players mainly selected after January’s tryouts. It was interesting and very rewarding to watch them go from simple players to a team in the beginning of May when we kicked-off the season against the Floridians. With a team that was well suited on the paper, half having played the year before and the other half on their debut into the wonderful world of USL PDL soccer we noticed friendlies after friendlies that they became a real team who loved to train together and loved to wear the blue jersey branded with the beinsports logo on the chest. All the boys have improved themselves over the season, and they all were great team players communicating with each other. After starting our first season together last year and being runner-up in our division, we decided that we didn’t wanted to be so sore after each game and that we would start our training early season. So come March 2016, we started training at Homestead twice a week. We ran the team through fitness and skills training so that the season we would have a heads up on the opposition. There were many fantastic highlights throughout the season and some games with a lot of entertainment and goals. We thing about the games versus South Florida Surf (3-0), SW Florida Adrenaline (5-0), IMG Academy (3-0) or even better vs Palm Beach Suns (6-2). The 2016 will not be a season to remember but we learnt a lot from our mistakes. With our players out we were still determined to end the season at the third place! The final highlight of the season came in the last game vs the Floridians. We could not forget the trail of destruction left by Mohamed Kourouma as he dribbled the ball around players and went by himself, alone, to put the ball in the back of the net. We had some new faces to our team and some of them made a difference to the team. Bryan Perea and Mohamed Kourouma, the self-declared team leaders, were relied on by the team for their speed and goal scoring ability, with both scoring a number of goals in most games. Adam Chahti, player directly coming from the PSG Academy Florida had proven himself on the field by 5 assists this season. His speed and technicality offered many solution to our coaching staff even during the hardest games. Kevin Coiffic, recently promoted as #6, he put all his knowledge in favor of the team. He scored 2 goals from the head and 3 assists this season. He is one of the players that you should hear from in the next couple of years. After a tremendous 2015 season and a disappointing 2016 opus, president Ravy Truchot and head coach Wagneau Eloi had put together a lot of hopes in the new 2017 season: FC Miami City will have the luxury of signing a few European players, College players and players from all around the world to reinforce our base. The team’s goal is still to make the playoffs, and it didn’t achieve that unfortunately this year. Despite the underperformance, Truchot said he doesn’t think a coaching change is in order. Thank you to the effort put in by all the staff and coaches. Thank you to our fans to be supportive thorough the season. We all enjoyed playing and sharing those moments together. Hope to see you all back next year. Looking forward to more great memories, from a fantastic team, in the 2017 season!! !